Item # 302092 Stash Points: 2,495 (?) This is the number of points you get in The Zumiez Stash for purchasing this item. Stash points are redeemable for exclusive rewards only available to Zumiez Stash members. To redeem your points check out the rewards catalog on thestash.zumiez.com. Get your style right with the Savage. 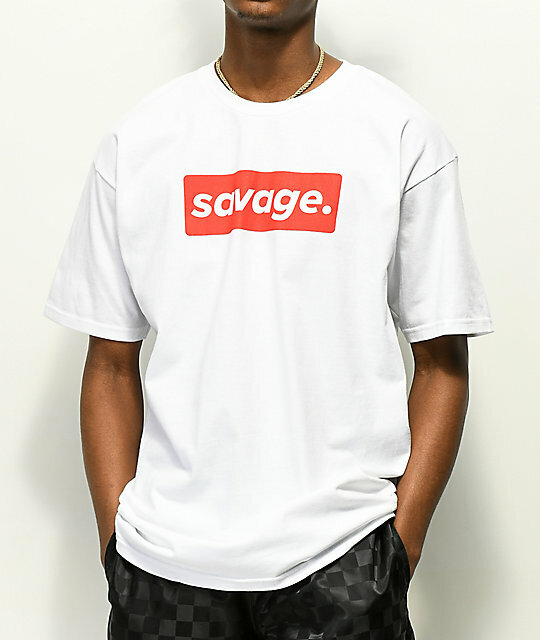 Box tee from Artist Collective. 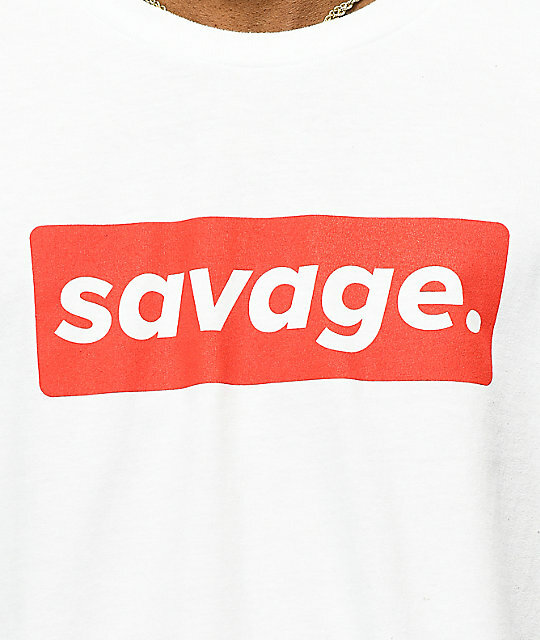 A white, 100% cotton shirt features a familiar logo front screen print of "Savage." in white lettering in a red box. Savage. Box white T-Shirt from Artist Collective. Screen print graphic at the chest in red and white. Ribbed crew neck collar trim and short sleeves.